The Movistar Yamaha MotoGP team returns to Spain this week for the 2016 MotoGP World Championship finale, the Gran Premio de la Comunitat Valenciana, with the third place in the Rider’s Championship and the Team’s and Constructor’s Titles still up for grabs. 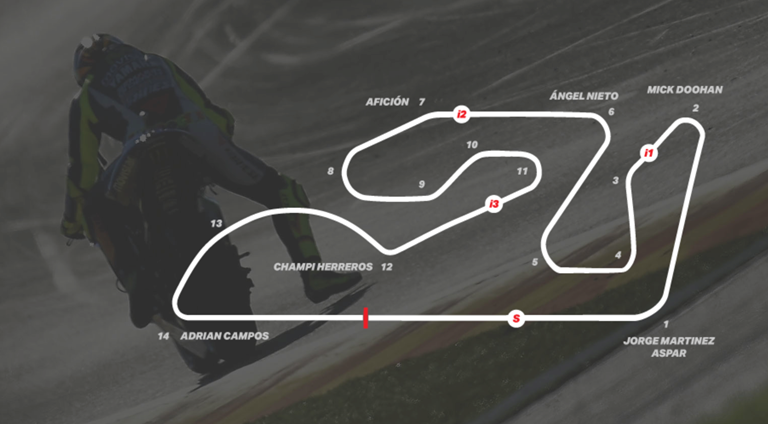 Valentino Rossi enters Spain intent on fighting for a podium spot. Having secured second place in the championship at the previous round at the Sepang International Circuit a fortnight ago, he focusses on the fight for the Manufacturer’s and Team’s Title to close the season in the best way possible. The nine-time World Champion previously has taken two premier class wins at Valencia, in 2003 and 2004, and he has claimed multiple podiums with second places in 2002, 2009 and 2014 and third places in 2005, 2008 and 2010. Pol Espargaro and Bradley Smith keenly await the 18th round of the 2016 MotoGP World Championship at Valencia where they aim to achieve two flying finishes in what will be their last appearances in Monster Yamaha Tech3 colours. The season-ending battle will commence at the Circuit Ricardo Tormo, which has produced many memorable and spectacular duels over the years. The fight in the championship standings is still ongoing, and therefore both riders fully intend to clinch top tier results aboard their Yamaha YZR-M1 MotoGP bikes to conclude the year positively. Pol Espargaro will seek to close his three-year partnership with Yamaha by powering to an impressive finish in front of his loyal fans. The Spaniard plans to continue attacking to complete the Grand Prix as close as possible to the factory MotoGP riders in Sunday’s 30 lap sprint after coming off the back of three impressive displays at the overseas Grand Prix’s. Meanwhile, Bradley Smith targets speeding to a solid result in the race in order to close his sixth year with the team in a notable way. The joint longest serving Tech3 rider produced three heroic point scoring performances in the flyaway races, where he returned to the grid after sustaining a knee injury, and he will aim to undertake another determined effort to close his fourth season in the premier class strongly.